April 2016: New Rivers of Light to Open! You can see the stadium seating going in on both sides of Discovery River Lake. We got to check on the progress of the new Rivers of Light attraction at Disney’s Animal Kingdom last month. There will be stadium seating for 10,000 or so guests, very much like what’s at ‘Fantasmic!’ in Hollywood Studios right now. 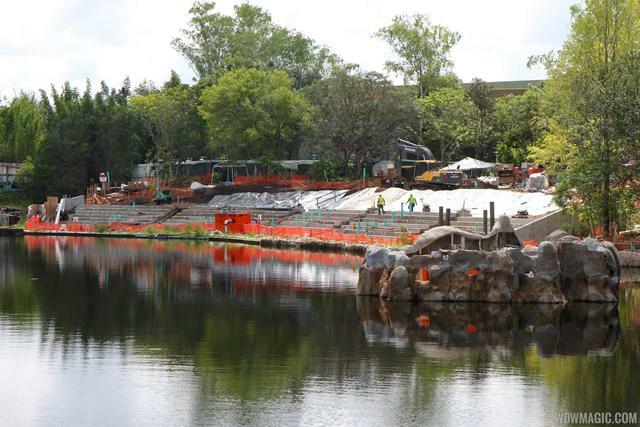 Seating will be available on both sides of Discovery River Lake between Expedition Everest and the Theater in the Wild, currently home to Finding Nemo: The Musical. As viewed from the bridge into Africa. Projection rock (on right) for show’s electronics and lighting. January 2016: Still moving dirt! Huge crew working on this project to keep it on track for the grand opening! CM guest passes are blocked out April 19 – April 30th because of all the grand opening events. “Rivers of Light” concept art. 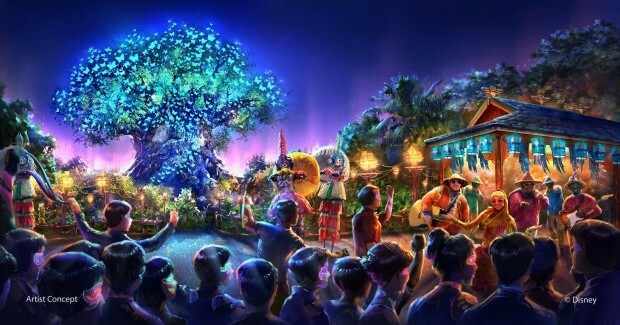 Rivers of Light promises to be an innovative show unlike anything ever seen in Disney Parks, combining live music, floating lanterns, water screens and swirling animal imagery. This means that DAK will be able to stay open much, much later. Sometimes in the winter, DAK closes as early as 5pm. And, of course, no fireworks are allowed because of the sleeping animals. 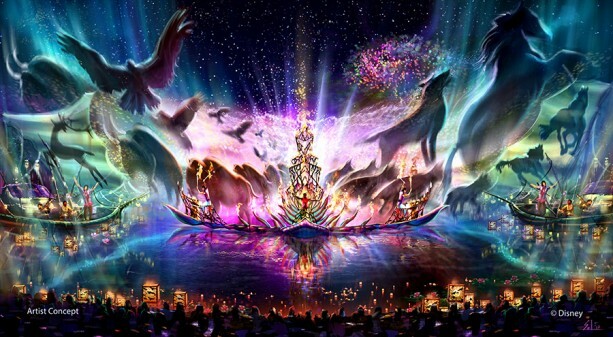 Rivers of Light will premiere late April 2016. The fully illuminated Tree of Life. This will be so pretty to see at night! The other thing that they’ve been working on at Discovery Island is replacing every single leaf on the Tree of Life with 200,000 twinkling, LED illumination lights that can be set to music! The Rivers of Light show will include projection mapping onto the huge Tree of Life itself. 2016 International Flower and Garden Show starts March 2, 2016. The complete Food Menu for the 2016 International Flower and Garden Show is outlined below. The prices for most dishes will be in the $3 – $8 range. New Figment magic band for the F&G Show. Interested in the limited edition merchandise available for the 2016 Flower and Garden Show? This year’s logo features Figment, the purple dragon. 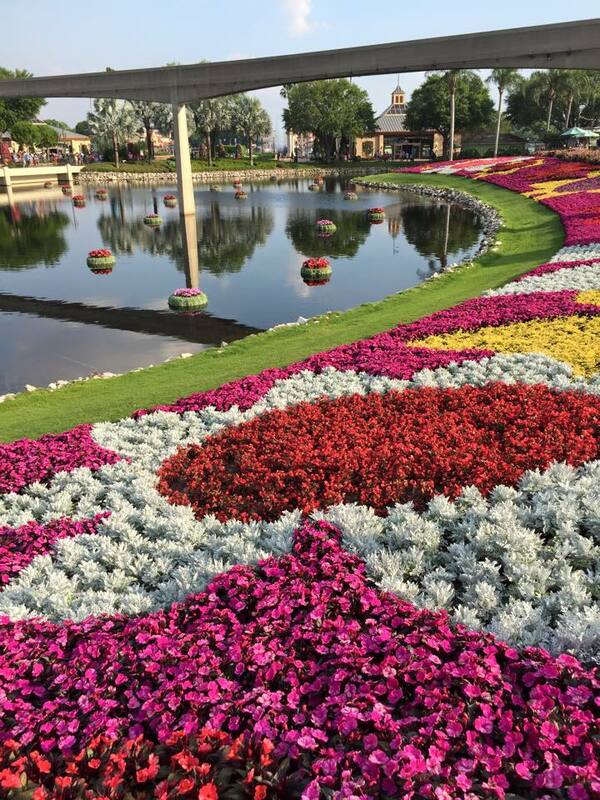 The 2016 International Flower and Garden Show runs from March 2 – May 30, 2016 this year. So beautiful!!! Hope you can make it! The perks of being a DCP cast member are pretty good for a paid ($10 – $15.00/hr. for most CPs in 2018/2019) internship program. 4. At many Disney table service restaurants, you can get 20% off your meal. 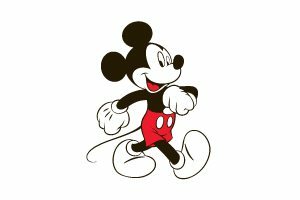 At some restaurants, it’s a 40% discount – Disney Disney Discounts for Cast Members 2018! The catch is that it’s hard to remember exactly which restaurants are currently giving the CM discount and sometimes, even if a restaurant gives the discount, they may only honor it at non-peak hours, i.e., dinner after 9pm. Again, the only way to know is to always ASK! 9. 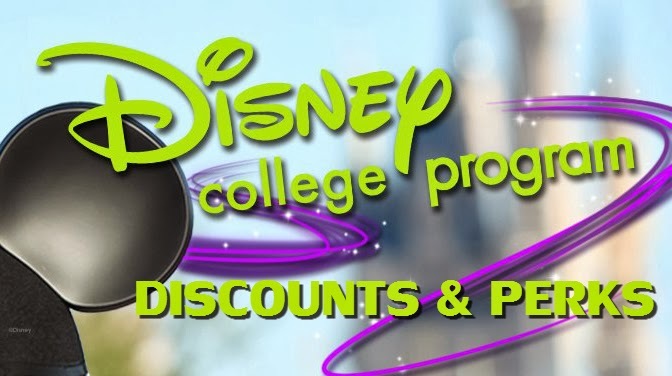 If you work during the Fall internship, you’ll be mailed a Disney Family Holiday Celebration 2018 coupon booklet filled with 60% off coupons for Disney hotel stays, 50% off Disney table service dining, free holiday ornament coupon, and 6 free soda coupons and free popcorn coupons. If you take advantage of all of these coupons, especially if you have family members visiting you during your program, you could save thousands of dollars. 20. Free locker rental at all the parks. Just show your ID. Also, free stroller (single or double!) rentals at any of the parks too. She is currently a 7th grade Social Studies teacher in Colorado. 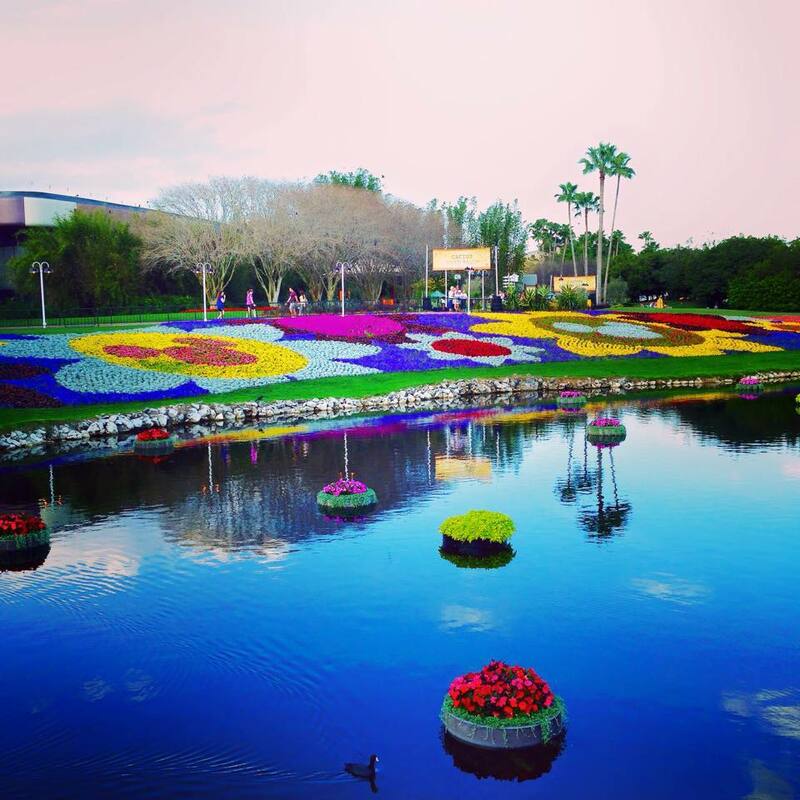 Thousands of colorful flowers surrounding Friendship Bay at Epcot. 30 million blossoms! 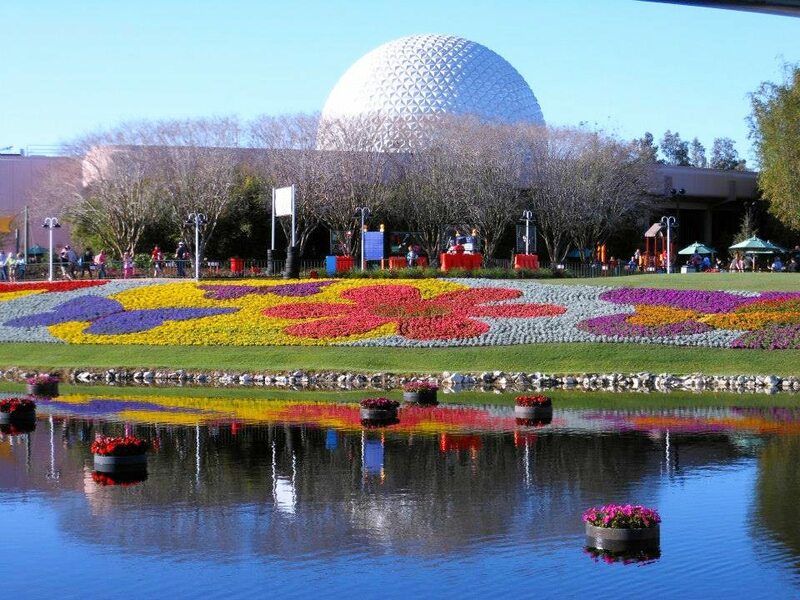 Kicking off next week – March 2, 2016 – May 30, 2016 – the extended 2016 Epcot International Flower & Garden Festival at Epcot promises to be amazing! The Disney pin team has created several limited edition pins featuring the F&G topiaries. Other limited edition merchandise will be available at the Festival Center where they hold the special cooking and gardening demonstrations. 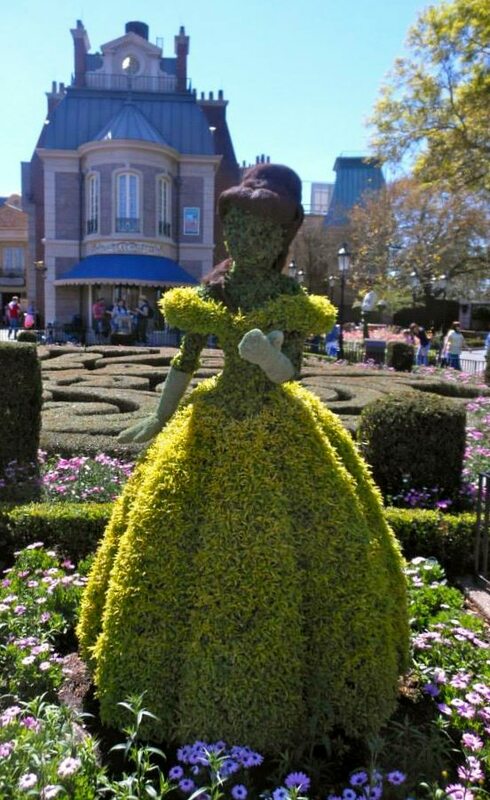 Expect to see a dazzling array of over 100 topiary displays, gardens and exhibits—each featuring seasonal designs or several popular Disney characters. Amazing! How do they do the hair??? Peter Pan and Captain Hook. Yes, there are flowers, but there’s also Special Foods available during the Show! We ❤ Dole Whip!!! 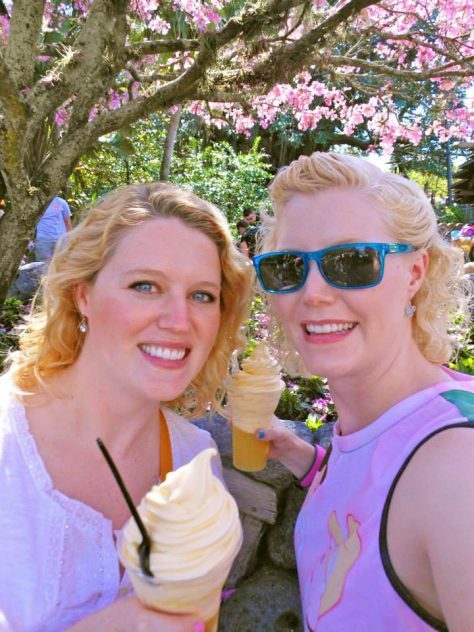 Tip: You can get Dole Whip at Epcot during the F&G Show (with or without rum)! 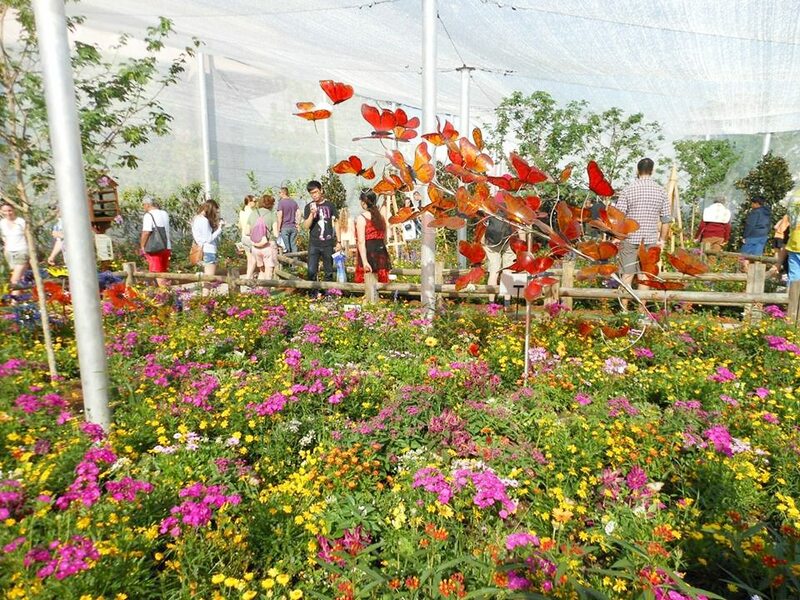 And, don’t forget to stop by and see the special butterfly pavilion! Bonsai Collection – Branch out to the Japan Pavilion to cultivate an appreciation for an ancient art form that produces the most amazing miniature trees. 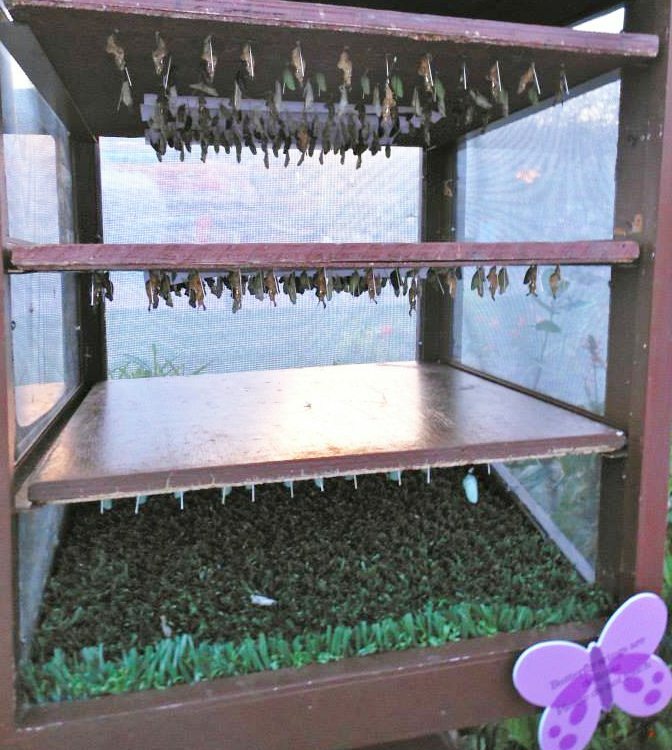 Butterflies on the Go presented by GoGo squeeZ – Float over to this happening habitat in Future World to get an up-close glimpse at several species of butterflies—they may even brush by your shoulder during the exciting walkthrough tour. English Tea Garden hosted by Twinings of London – Ripen your knowledge of the art and history of tea during this 20-minute guided tour. Afterwards, capture the cutest photos of tea-flavoring plants tucked inside giant saucers that are strewn throughout the garden. Floating Mini-Gardens – Gaze upon 225 petite plots drifting on the ponds that border the walkway between Future World and World Showcase. Health & Healing Garden – Glide over to The Land to discover ancient plants that have the ability to heal! Illuminated Gardens – See Epcot with new wonder as select Disney topiaries and Festival playgrounds all across the park glow with light as the Flower & Garden fun continues into the night! Pepper Fire Garden – Think you can take the heat? Head to The Land Pavilion to peek at the world’s hottest peppers. Prehistoric Plants – Spot examples of greenery that existed when dinosaurs roamed the earth at Future World East. Purple Martins Presented by Audubon Florida – Stop and listen to the tranquil sound of this special species of songbird at Future World East. Shakespeare Garden – Thou shalt adore matching up famous quotes to flowers found within this vibrant garden in the United Kingdom Pavilion. 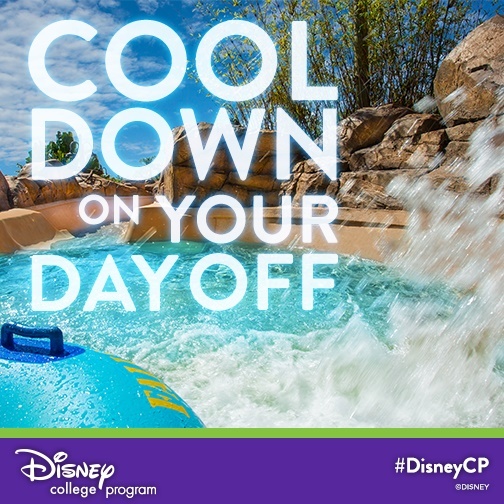 CP Moment: Going to Typhoon Lagoon with friends on your day off!!! THIS BLOG HAS BEEN UPDATED FOR 2017! New blockout dates!!! Blizzard Beach will close first from October 23, 2016 through to December 24, 2016, reopening to guests on Christmas Day, December 25, 2016. Typhoon Lagoon will then close from December 25, 2016 through to March 11, 2017, reopening to guests on March 12, 2017. It is likely that Typhoon Lagoon will reopen with a new new family raft ride, Miss Fortune Falls! But, sad news!! Shark Reef is permanently closing October 3, 2016! So, if you want to swim with real sharks, get there by October 2nd! Construction on Miss Fortune Falls is about to begin!!! June 2016 Update: CMs are currently blocked out from free admission to the water parks in the summer months…unless you work there! If you do, then you can get in for free anytime! After 2pm, CMs can buy 1/2 price admission tickets at the window by showing their ID. Blizzard Beach and Typhoon Lagoon (our favorite!) are open daily now. The water park’s winter hours are usually from 10am – 5pm daily. Free cast member admission to the water parks: January 1 – June 11, 2016. 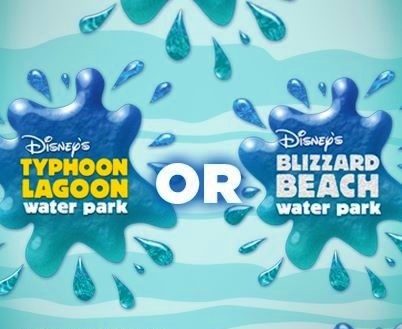 Which water park do you prefer: Typhoon Lagoon or Blizzard Beach?? 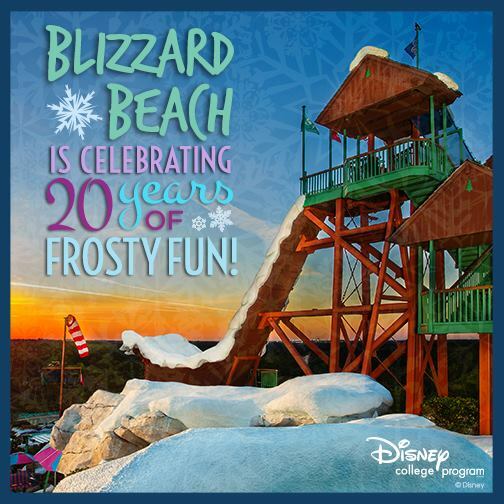 Blizzard Beach reopened for the season on January 3, 2016. Blizzard Beach is more exciting, while Typhoon Lagoon is more relaxing. From March 2–March 27, 2016, guests can search for special hidden “eggs” themed to Disney characters and record your discoveries by placing the corresponding sticker on the specially themed Egg-stravaganza map to represent that location. Note: Easter Sunday is March 27, 2016 and special characters will be out and about for meet and greets, including the Easter Bunny!!!!! The small egg prizes for 2016. So cute! How to redeem by April 2, 2016: A surprise awaits you! Disneyland Resort: Disney Showcase in Disneyland park; Elias & Co. at Disney California Adventure park; and the World of Disney Store in the Downtown Disney District. 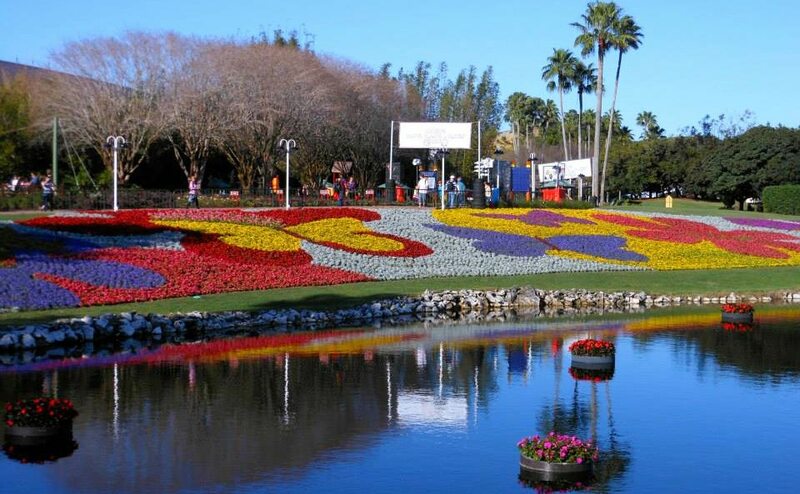 The 2016 International Flower and Garden Show also starts on March 2, 2016. Don’t forget to bring your camera!! The extended 2016 International Flower and Garden Show runs March 2 – May 30, 2016 this year. 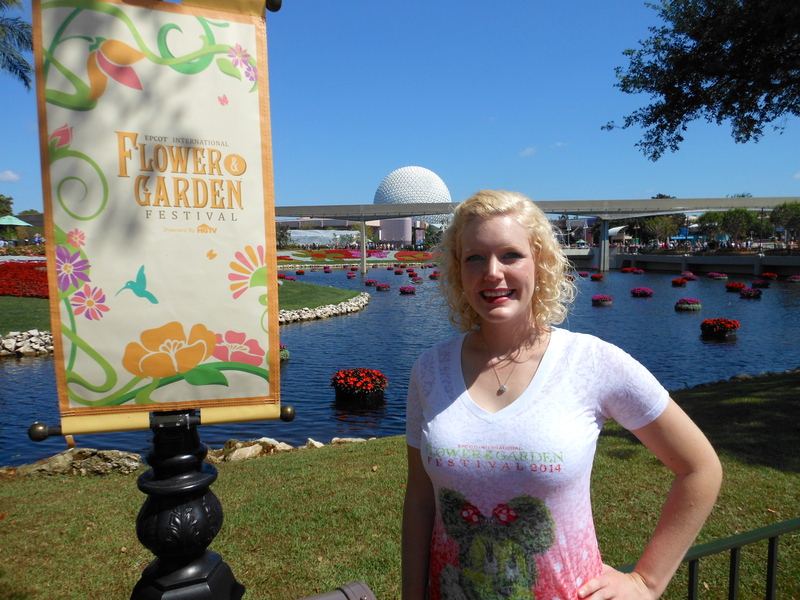 There’s also brand new limited edition Flower and Garden Show merchandise available throughout Epcot. 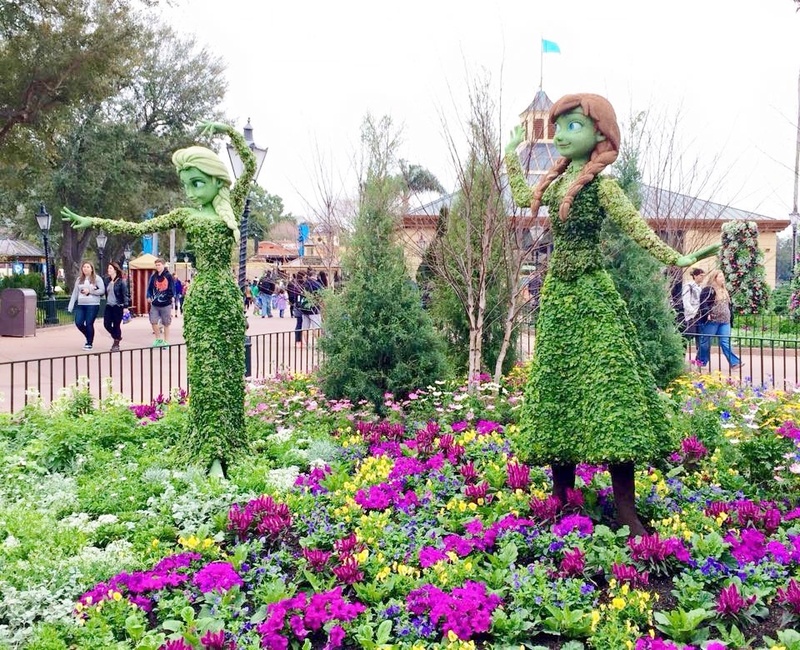 The new 2016 Flower and Garden Show magic band. And, for the hungry, all the new Flower and Garden Show food is available for purchase, $3 – $8 per delicious item.